onebestway is a friendly place, as well as being one of the North of England's longest established and most decorated design and marketing agencies. We've won over 70 design and marketing awards all over the world since our launch in June 2000. And as we enter 2013, we are investing heavily in our two offices, our people and our future. For the hard working, the ambitious, the loyal and the talented, onebestway is a great place to call home. Our team has worked on projects for Coca Cola, Avis, Hovis, RIBA, Sony, NHS, Egger, William Young/M&S/John Lewis/Moss Bros, Onyx Group, Parkers Executive Chauffeurs, Freedom Direct and Intel. As we move through 2013 we're looking for two more talented, ambitious, willing, driven, 'can-do' and hard working designers. We seek a Junior Designer with aspirations to prove him or herself as they grow towards establishing themselves in a professional Designer role. This person will either have a year or so of good industry experience or will have a 2:1 or (preferably) a First Degree. Either way, their portfolio will be amazingly and carefully constructed and it will contain exceptionally considered and exceptionally executed work, too. We also seek a Middleweight Designer. This role might suit someone that feels they're being overlooked in a current role or that just wants 'more' from our industry. onebestway is very ambitious and driven. Are you? This second role suits someone that aspires to become a Senior Designer, or that is already 'Senior' by name but feels that the ladder they are on is not what it should be. This opportunity will suit you if you have at least three years of really decent industry experience plus a truly amazing portfolio. For both roles you must be fast, accurate, consistent and highly dextrous with industry-leading software. onebestway's work is for a reason. It has to help our clients or else - well - what's the point? So, if you are passionate about colour, font, typography, layout, imagery, graphics and how to create massively impactful online and offline design and marketing solutions, but you care little for - or have no idea about - how your work can actually help a client business then you are not for us. Getting our clients known is not the answer. Getting our clients WANTED, is. Our creative work and ideas result in greater sales for our clients or we've failed. We must lift their claims beyond the sameness of others, making them believable, persuasive and urgent. onebestway work is work that works. And as a Professional Creative and Marketer, to know how your work has positively affected a client business is a great feeling. You do have to care about this as much as we do. Please send a considered covering email and up to date cv to Richard Milloy, onebestway's Creative Director. Richard is richard@onebestway.com. Thank you for taking the time to read. Superstars only. No unsolicited approach from any agency will be considered, under any circumstances. Thank you. 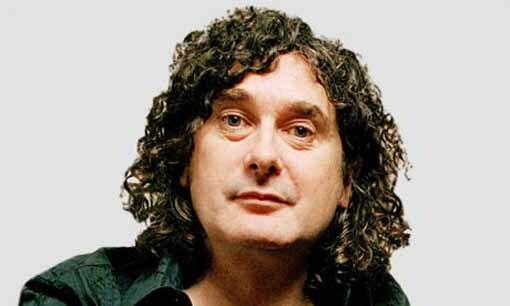 Curly Creative Trevor Beattie is an enigmatic chap. Wonderbras and FCUK etc. He's also said, last week in fact, that the 30 second advert is dead and that 5 seconds would do. Radio Newcastle decided to chat about it and also asked me to let them - and their listeners - know what I thought. So here's what I said. I said that I agreed with Trevor Beattie. I said that all great brands should actually be able to give you the reason to buy them in less than 5 second. That, wrapped up in killer creative from the likes of onebestway, is more than enough. Dyson. No loss of suction. At onebestway and our allied business Violet Bick, we do this day-in and day-out. It makes you more memorable, simpler, less expensive to market (because people 'get it' more quickly) and more profitable, too. So yes, Trevor may have funny hair - but he does know what he's talking about. The TV advert we're shooting in the North East this month will air in the UK Central regions in May 2013. It's for a new brand; an aspiring UK market leader. The audience is geography-specific, male, aged 30-40 and quite affluent. And as the creative solution is based upon a single brand-driven promise that's really appealing to them, that's simpler than (and different to) any other player in our client's market - we should be fine. It's a whole lot better than spending our client's money to say pretty much the same as everyone else in their market. Please take a look at your marketing. If you're saying pretty much the same as everyone else, call us on 0191 27 666 27 and ask for Mike. We help lots of people that aren't sure how to stand out. It can be hard sometimes so don't worry. Clients ask us about our Terms and Conditions from time to time. So here they are, written out in full for you to read whenever suits you. If you're after a hard copy, you can pick one up any time at our office. These terms, unless we agree in writing to the contrary, apply to any service provided by onebestway to you. Taking instruction. You agree that we may take instruction from one appointed person (that we will identify together) or anybody appointed by them, although single source feedback is preferred. Validity and vat. All costings are valid for 30 days. All figures are ex-vat. Outside the scope of work. We will not be advising on any aspect not covered in Project Proposals. We are not qualified to give legal advice and it is important that you obtain any such advice from appropriately qualified specialists. With regard specifically to websites, whilst we can advise on the drafting of terms of website use, information relating to cookie laws and privacy policies, the legal implications of them are outside the scope of our expertise and advice. Looking after you. Your Account Manager is responsible for ensuring that our service delivery is excellent in everything we do for you. onebestway’s MD has overall responsibility for the quality of our work, including absolute adherence to professional logo identity guidelines documents. Third party costs. Third party costs that are apparent at the proposal stage will be clearly communicated to you at the proposal stage. If any additional third party costs arise during the project delivery phase, your Project Manager will advise you at the earliest opportunity for your prior approval. Invoicing you and how to pay. Invoices will be raised promptly after you’ve commissioned work and they will be clear and easy to understand. ‘Invoice raised’ and ‘due by’ dates will be clear, as will ‘how to pay’. Fees are calculated based upon the scope of work that we discuss together. Legal. Unless documented agreement exists to the contrary, with regard to Intellectual Property, clients pay for onebestway's acquired, collective skill and knowledge to create things for them to use, buying knowledge and skills, not what we actually create. So, 'IP' created is onebestway's. However, transferring IP to clients (once work is paid for in full) can be discussed and is rarely problematic. With regard to Publicity, onebestway can use client work in publicity material for mutual benefit. With regard to Imagery, it is assumed that you own the copyright to any imagery you provide onebestway with for use in your digital or print presence. Websites and software – budget allocation. With regards to budget allocation for websites, 15% will always be ring-fenced for testing and 20% for contingencies. The contingency figure allows you and us to learn as-we-go, to have new and better ideas and to achieve maximisation.